It’s that wonderful time of the year again- I’m talking about spring! The sun is out, the weather is getting warmer, and while that’s great, it can cause some minor problems for your skin. So to help you out, here’s my list of must-have spring essentials to keep on you at all times! This is one of the most important things to include in your morning skincare routine. No matter what your shade of skin is, sunscreen is so important in protecting your skin against the harmful springtime sun rays. Always make sure that your face moisturiser has a good SPF level (between 35-50) so that you’re protected at all times! Drinking water is something I always encourage you to do, because of how much good it does for you- from your skin, to your internal system, water is the key to surviving spring. If you want to shake things up a bit, try add some cucumber and other fruits, like lemon and strawberry, to give your body that extra detox! 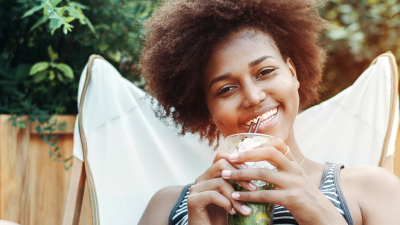 One thing not too many people know is that the warmer weather can result in oily skin, which can lead to pimples and breakouts. So how can you try prevent it before it gets too bad? Do a weekly 15 minute face mask with natural ingredients like honey and green tea to protect your skin from the effects of oiliness. Spring warmth means keeping yourself refreshed and clean is super important. One of the things that causes skin outbreaks without you realising, is your hands- especially if you don’t get the opportunity to wash them very often. So the best thing that you can do for yourself is to get a small bottle of hand sanitiser to keep in your bag, so that even when you can’t wash your hands, you can still keep them fresh and clean! Spring is a great time to start keeping new habits- and one of the best habits you can have is self-care! Do you have any other essentials that help you through the warmer spring days? Let me know in the comments.